Cloud computing, also known as 'IT as a Service', is predicated on delivering IT services on demand, an idea that has support from business leaders as a way to better align IT with business operations. Cloud computing has two key requirements: virtualized applications and seamless support and integration between the server, networking, storage and hypervisor components. 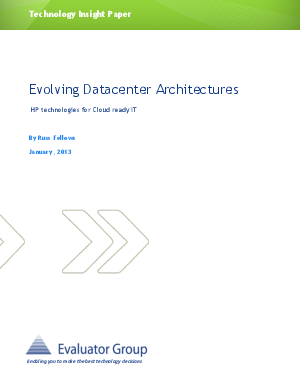 In this paper, we explore these concepts and highlight the critical features necessary to move beyond server virtualization by leveraging key integration capabilities between IT components-with a particular focus on the important role that storage plays in the evolution of the datacenter architecture.